Earlier this month, it was reported that Jaguar Land Rover is due for a turnaround plan to cut costs and improve cash flow. The owner of JLR, Tata Motors, is scheduling a 18-month plan called "Project Change," worth $3.2 billion. 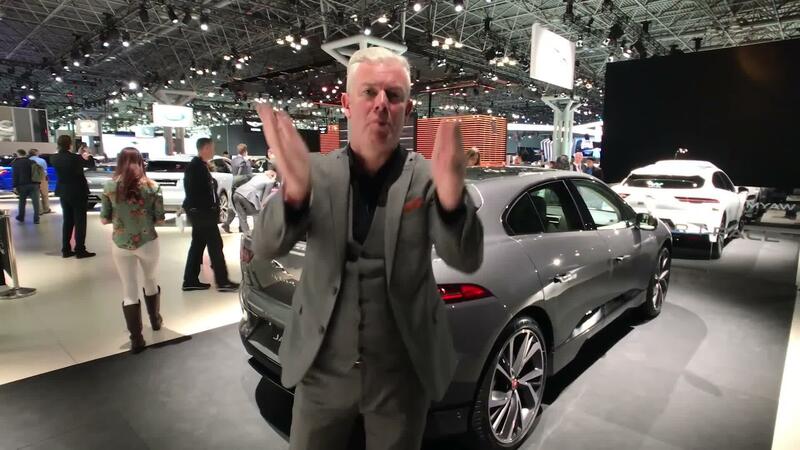 But it seems a step in the right direction has already been taken with the introduction of Jaguar's electric I-Pace: InsideEVs is reporting that Jaguar sold 1,200 I-Pace models in October, which represents strong growth for the brand and the new model. 8.7 percent of Jaguar's total October sales consisted of the I-Pace, meaning that the total October sales volume of 13,764 units was largely boosted by the new electric crossover. Total sales were up 11.6 percent, and it was overall the best October ever for JLR. Some 2,500 I-Pace crossovers have been sold so far. The October sales figure is a noticeable rise from September's 710 cars, which itself is a strong pickup from just 140 cars sold in August. These are signs of both production and sales perking up, and it wouldn't be surprising to see monthly I-Pace sales hit 2,000 units sometime soon. It helps that the I-Pace is priced competitively with Tesla Models S and X, starting at $70,495 including destination charge, with Jaguar-like performance and looks. Last month, we reported of Jaguar possibly going electric-only in the next decade, with a portfolio consisting of an electric XJ, a full-sized EV crossover and an electric sports car in addition to the I-Pace. Brexit uncertainty and China-market woes mean Jaguar is on unstable ground, but as its owner is about to run an even tighter ship, and it first full-electric model is visibly picking up the pace, the coming decade could turn out to be a positive for Jaguar.